Much of the interim budget focused on consumer stimulus with few specific measures to create opportunities for about 12 million young Indians who enter the job market each year. New Delhi: India’s budget provided plenty of giveaways to farmers and middle-class voters, but was short on detail on one of Prime Minister Narendra Modi’s key promises: creating jobs. The issue has become a politically sensitive one ahead of elections due by May, with the government accused of deliberately withholding the most recent labor report because of the possible bad news it presents. A local newspaper published leaked details of the report a day before the budget, showing the unemployment rate reached a four-decade high of 6.1 per cent in the year to June 2018. Modi swept to power in May 2014 with the biggest electoral mandate in three decades after promising to create 10 million jobs each year. 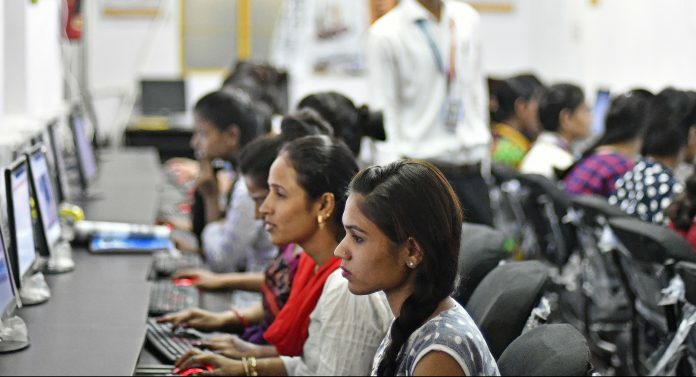 Finance Minister Piyush Goyal said in his budget speech last week that 20 million “employment opportunities” were added in two years. Yet no official labor survey has been published since 2016, when the unemployment rate was reported at 5 per cent. Much of the budget focused on consumer stimulus — such as the $10.6 billion-plan to pay cash to farmers — with few specific measures to help boost businesses to create opportunities for about 12 million young people who enter the job market each year. With more than 90 per cent of the labor force employed in the informal economy, the government has struggled to produce reliable data to get an accurate read on the level of joblessness in India. For now, the government has rejected the findings of the leaked jobs data, saying they aren’t final. There’s lots of evidence to show jobs have been created in the last four years, Rajiv Kumar, vice chairman of the government think-tank NITI Aayog, said last week. 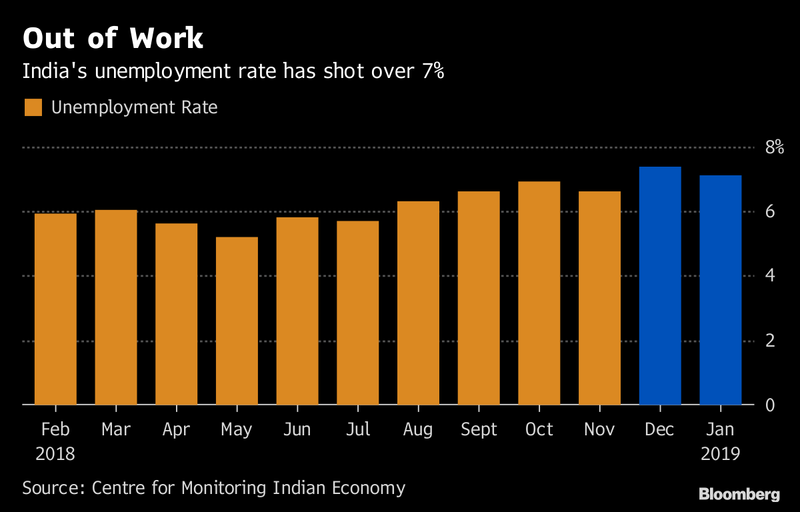 The jobs report was only part of the drama surrounding India’s economic data last week, raising questions about the reliability and credibility of the nation’s statistics. Two members of the National Statistical Commission recently quit after expressing concerns about the labor report and revisions to gross domestic product figures. Hours after the Business Standard newspaper published the leaked jobs report, the government released figures showing a surprise upward revision in GDP growth in the year through March 2017 — a period in which the government’s shock cash ban had roiled businesses and caused thousands of job losses. The statistics authorities have made multiple changes over the past few years on a raft of indicators, from GDP to inflation, jobs and taxes. With some of the revisions coming so close to an election, it’s providing ammunition to Modi’s opponents, who say the $2.6 trillion economy is seeing jobless growth. Economists often turn to private surveys to get a handle on job creation in the economy, some of which paint a grim picture. India’s unemployment rate last month was above 7 per cent, according to the New Delhi-based Centre for Monitoring Indian Economy Pvt. Modi’s allies are deflecting the attention for now, saying more attention should be given to formal sector jobs, not just the overall employment in the economy.